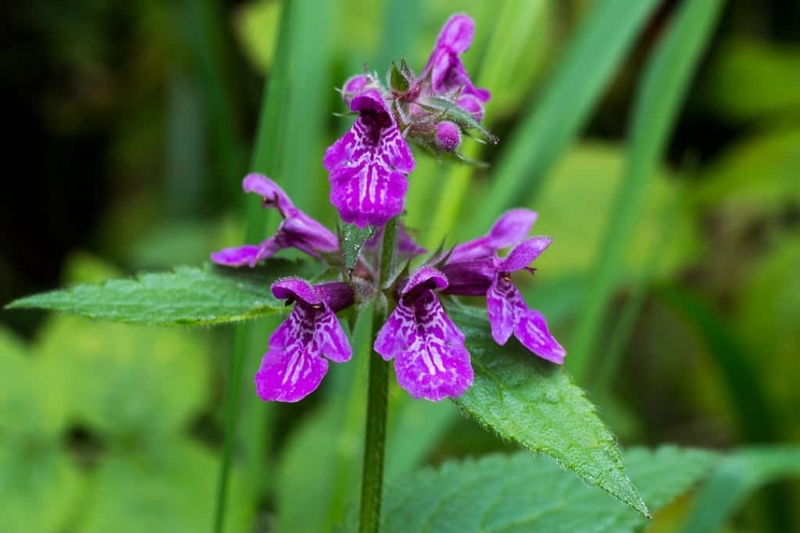 Marsh woundwort (Stachys palustris): identify and learn about your plants with Groww. A cousin of the mint with orchid-like flowers - or like a cross between an orchid and a nettle. Stachys palustris -the marsh woundwort or hedge-nettle - is a species of the mint family Lamiaceae, native to Eurasia but introduced to North America. It is an edible perennial grassland herb growing to 80 centimeters tall from a horizontal tuberous runner, with square stems bearing opposite pairs of almost stalkless, linearly lanceolate leaves and purple-red flowers.